Did Fujita (Feed) make a fiberglass version of their hoods or just carbon fiber? I know shineauto makes both versions but what about feed? 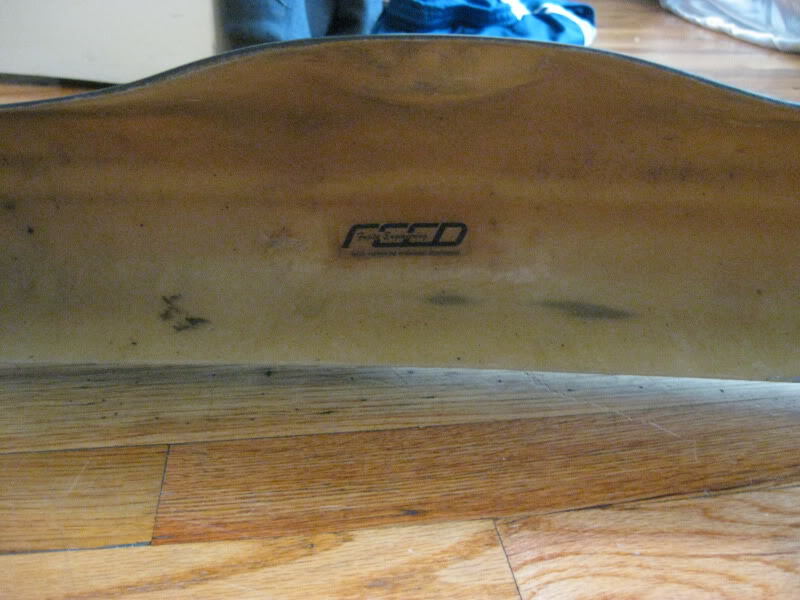 The reason I am asking is because I bought a used jdm feed hood from a container in Japan and its fiberglass. Also how can I tell if it is authentic or just a shineauto replica? Is there a feed stamp anywhere on it or how can I tell the difference? Does shineauto sell a lot of hoods in japan? If they (feed)had the mold for the hood then they could make a fiberglass one no biggie. FEED makes both versions FRP and CF. It's very unlikely that it's a shine hood if it's from Japan. So you're the one that bought the hood off of ebay. What did the seller finally agree to for the selling price? I see. Well best of luck to you on the fitment. I'd like to see pics. I always enjoy seeing cars sporting this hood. I'll have one some day haha. There are many copies of this hood floating around Japan. FEED manufactured them in both FRP and CF. An authentic FEED hood should have a stamp that look similar to the one bellow, unless the previous owner painted over it. To my untrained eye, sitting in front of a computer, the one on the FEED car looks a little different on the underside where the vents are. It looks almost to me like they removed the bracing? I agree...probably because the FEED car is a racecar and that's not the hood they sell to the public anyway. haha, sorry. Ignore my ignorance. If that's a copy it's a very nice one. I know nothing about this stuff, but my guess would be authentic judging purely on the inside rib structure. i havent seen a replicated hood with that much detail in the rib structure.. I don't know if JDM manufactures have changed to FRP in the last 15 years, but the authentic FEED hood I knew comes in fiberglass and plain weave CF. Not many JDM manufactures make FRP parts, I actually don't know any. 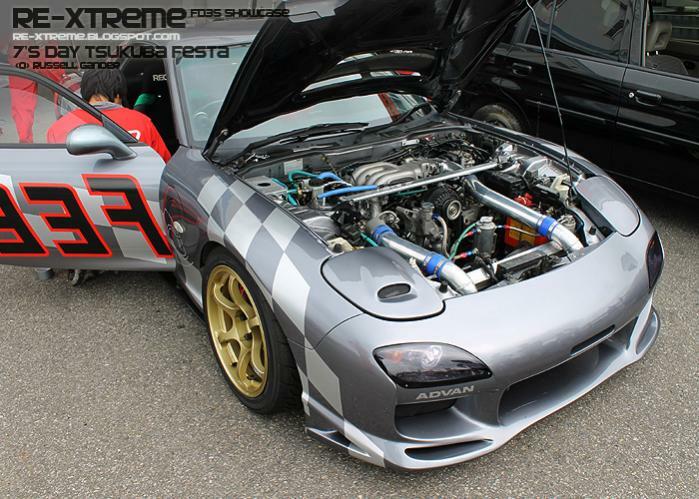 They are all fiberglass bodykits in my experience, including FEED, RE-Amemiya and Knighsports. I went to Import showoff San Diego with Tony Yeh back in the late 90's. He had full authentic FEED kit which was all fiberglass. the fiberglass hood hinges snapped and flew off on the freeway during his drive down to san diego. He went and retrieved the hood, had to put the hood on top of the roof during the show. Here's his car when he had the 1st gen FEED kit. After that, he converted to full authentic RE-Amemiya AC kit. Which are also all fiberglass. SHINE's FRP parts in my experience, are much better and stronger than the original authentic parts from japan. If it is a older produced (over 10 years old) genuine FEED hood it might NOT have had the label. I owned a rare older FEED type 1 bumper with no label and confirmed with another owner whose bumper also had no label, never seen a replica of a type 1, ever. Also FRP stands for fiberglass reinforced plastic. All parts utilizing fiberglass are considered FRP. Shine auto produces flexible FRP. Personally I think the flexible FRP is more of a marketing gimmick than anything. Ever wonder why not many Japanese co.'s use similar formulas. I think the only one is Ings+ iirc which was the one that gave shineauto the idea it says on shine's own website, but Ings+ offers both reg and flex frp. Either way as a previous posted stated if it is a copy it is a good copy with a very solid understructure and you got a good deal regardless. Just a heads up, FRP and fiberglass are the same thing. The fibers and resin used can vary. But the terms basically mean the same thing. When i said FRP, i meant flex fiberglass. I apologize for the lack of correct terminology. Thanks guys for the clarification.